Since 1982, Spectra is your global source for used EMC storage arrays. We also provide 3rd party maintenance and support services. Storage is our specialty – We carry a vast inventory of EMC systems along with on-staff technicians. We are a leading third party provider for EMC Maintenance. Please visit our Maintenance page to find out more! 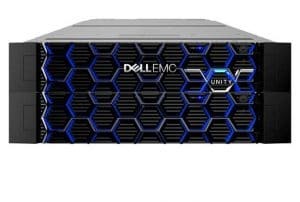 The Unity family of storage arrays are Dell EMC’s cutting-edge mid-range storage systems. The new line features either hybrid or all-flash storage. The Unity family touts significant performance and efficiency improvements over the VNX product family. Units support Fibre Channel, FCoE, NFS, SMB 3.0 (CIFS), and iSCSI protocols. More information on performance is available on the specific product pages. If you can’t find the Dell EMC equipment you need, please call us at (714) 970-7000 to determine current availability. For quickest response, please click the buy/sell buttons on the right to complete our request form. Please, if you do not see the EMC system or peripheral you require… Contact us (at the phone/e-mail below) as our inventory and available product changes daily! SPECTRA sells certain EMC products but is not affiliated with or endorsed by EMC. We offer a full range of maintenance and support on EMC storage systems. Find out more about our maintenance services.